Lorena Angulo: An Evening with Strings. 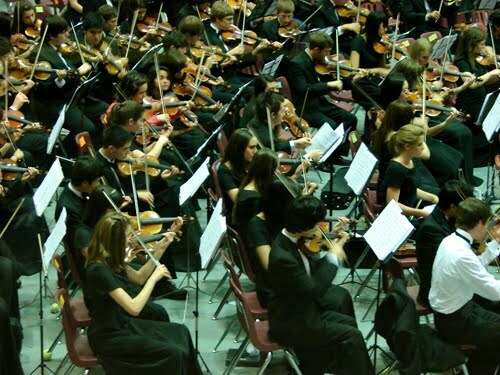 An Evening with Strings features fifth grade strings, middle school orchestras and combined NEISD senior orchestras. My son Christian practicing before the concert. 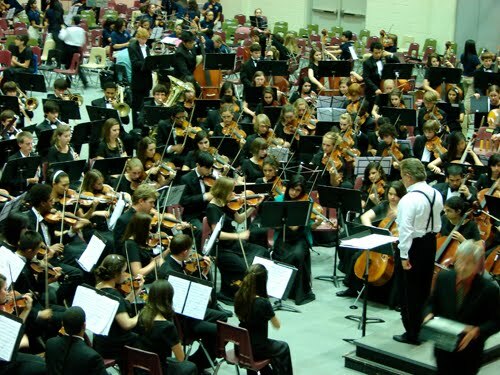 The talented High School Orchestras practicing. We have been lucky to be part of this event for two years. My son Christian is part of the Orchestra at his school, Barbara Bush Middle School. 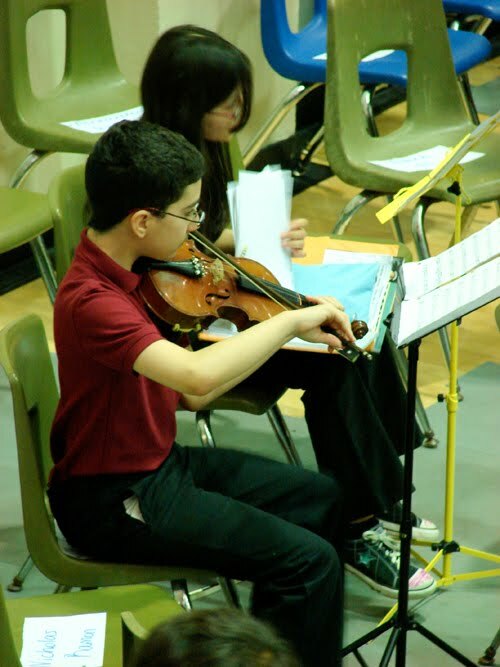 He loves to play violin and enjoys doing it. He started with strings last year when he was in 5th grade when his actual teacher in middle school, Christy Newman, went to his school to introduce the kids to the magic of music. Christy Newman is a fantastic music teacher , she is caring and loves the kids and music. Thanks to her and the Arts my son has found a wonderful place to be. He feels more confident and he is so happy when he plays. Thank You Mrs. Newman for giving my son and all the kids the wonderful world of music ! Wow, what a large group, the sound must have been amazing! I'm glad your son has a talent he truly enjoys, music is such a blessing and is so wonderful for children for experience and discover. Yes, it was a great evening. The kids were fantastic ! You can listen to them in these videos if you want.